Is Stress Aging You by a Decade? Learn to Cope up &amp; Stay Young Forever! Is Stress Aging You by a Decade? Learn to Cope up & Stay Young Forever! Is Stress Aging You !?! Do you know that prolonged periods of stress can affect our mind, body and our behavior immensely! It can not only cause migraine, depression and anxiety, muscular pains, insomnia, loss of appetite, hypertension, heart attacks & strokes, but also lowers immunity. Further more, experimental studies have discovered that intense, long-term emotional strain can make people get sick and accelerates the aging process. 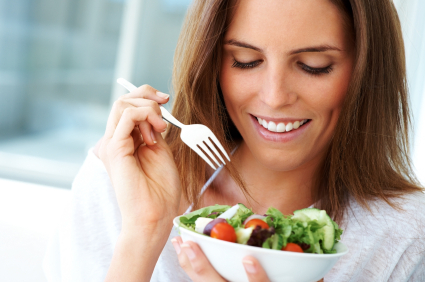 Eating a diet rich in vital nutrients and exercise can help fight stressful times and control premature aging. Long periods of stress rob the body of nutrients such as vitamin B6, vitamin C, zinc, magnesium and carbohydrates, leading to fatigue and lethargy. It is important to replenish these nutrients by eating a diet high in these vital nutrients. Eat Healthy to Beat Stress! Eating meals good in carbohydrates (wheat, rice, pasta, bread, potatoes & pulses), triggers brain neurotransmitter called, serotonin, which is known to calm the mind. Consuming diet high in B vitamins yields energy and helps to maintain a healthy central nervous system. Eating whole grain cereals, pulses, green vegetables, dairy products, curd, eggs, sea food & dry fruits would compensate for the loss of this nutrient. To improve body’s defense mechanism include foods rich in vitamin C, such as, black currants, citrus fruits and fresh green vegetables. Eating fibrous food eases cramps & constipation, a common problem faced during stressful condition. for Healthy Mind & Body! Having food high in Zinc (like dairy products, egg yolk, whole grain cereals, liver, sea food) boosts the body's immunity and promotes wound healing. Magnesium, found in green vegetables, wheatgerm, wholegrain cereals, nuts, pulses, sesame seeds & figs, help assist muscle contraction & transmission of the nerve impulse. To overcome stress, reduce intake of chocolates, coffee, tea, alcohol & tobacco as these stimulate the feeling of anxiety. Also, cut down on the consumption of foods high in sugar and fat. Regular exercise, yoga, deep breathing exercises and meditation help reduce stress to a great deal. Learn to relax and overcome physical, intellectual and social challenges. Indulge yourself in activities like walking, gardening, sports, listening to your favorite music, reading good books, etc. Take adequate sleep as lack of sleep makes you look and feel tired. causing dark circles and bags under the eyes, and sagging skin. Lack of sleep is also a major factor in symptoms of depression that include low interest in daily activities and negative thinking. Nurture a Positive Attitude Towards Life! Try to nurture a positive attitude towards life. Be Social! Take a break from work & spend time with your family & friends. Talking your problems over with a professional councilor can be of great help as well!